Dr. Mark Ferguson and Dr. Donald Low in Shanghai, China. 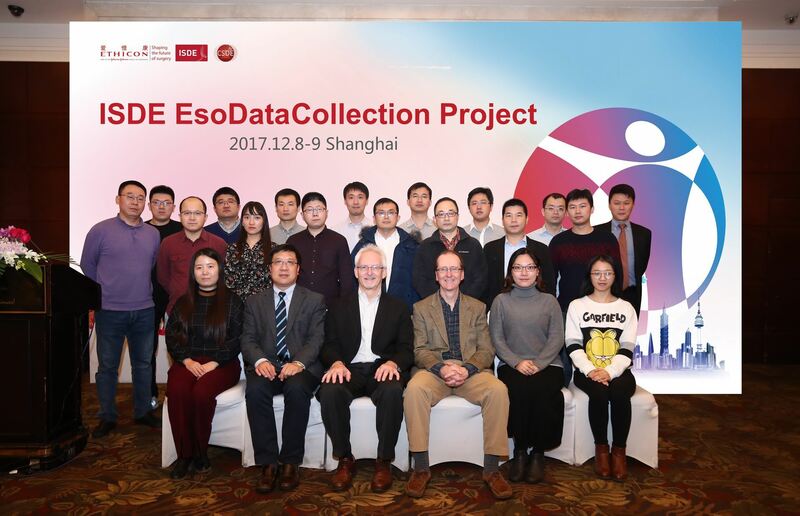 On Dec 8 - 9 Dr. Mark Ferguson & Dr. Donald Low attended a training session in Shanghai with 10 participating Chinese centers. ISDE Committee Members wishes you a happy holiday season. Neoadjuvant radiochemotherapy based on the CROSS regimen is now widely adopted as the standard of care for esophageal cancer; with this regimen nearly half of patients with squamous cell carcinoma and 20% to 30% of patients with adenocarcinoma will have a complete pathological response (pCR), raising the question if an esophageal resection is still indicated in such patients. The article “Active surveillance in clinically complete responders after neoadjuvant chemoradiotherapy for esophageal or junctional cancer”1 reviews the current literature on this topic: four retrospective studies only were individuated, all of them consistently showing that the survival rate did not differ after clinical CR between those operated on and those left in an active surveillance program. However, the majority of patients who did not received surgery were unfit or refused it. Two RCTs (ESOSTRATE in France and SANO –Surgery As Needed for Oesophageal cancer- have now been initiated and both expect reseults in 2023. How to manage an esophageal leak due to spontaneous (Boherhave) or iatrogenic perforation or after esophageal anastomosis remains a controversial topic. In this article “Outcome following the main treatment options in patients with a leaking esophagus: a systematic literature review”2 the Authors perform a systematic review to compare the two most used treatments: insertion of a self expandable metal stent and surgical repair. From 2005 to 2015 they selected 17 articles for a total of 371 patients treated with SEMS and 368 treated with direct or reinforced suture. The success rate was similar (88% vs 83%) with an in-hospital mortality of 7.5% for SEMS and 17% for surgery, suggesting that SEMS could be safely used to seal an esophageal leak, provided that less than48 hours elapsed from the leak and the positioning of the stent. 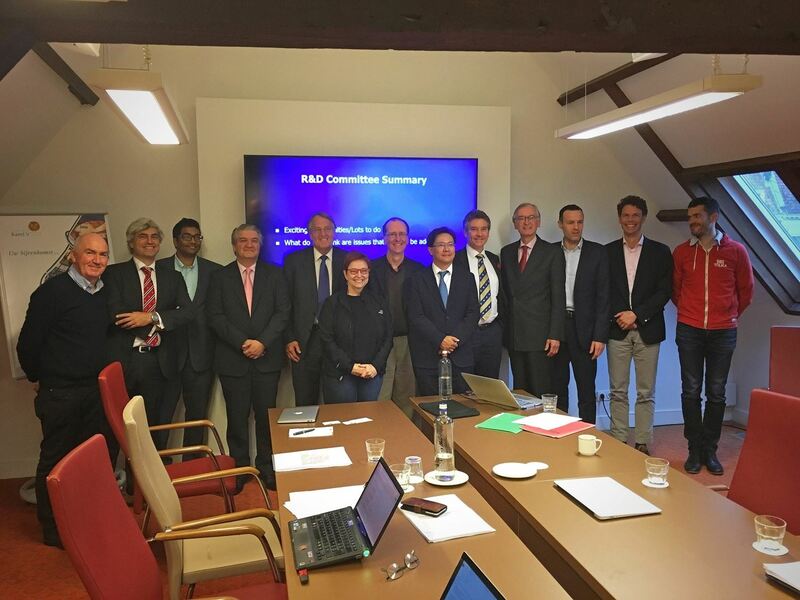 The ISDE Research & Database Committee had a productive meeting at ESDE 2017 in Utrecht, The Netherlands. Committee members look forward to implementing future plans in 2018. See who the committee members are here. Read the latest issue of the Esophagram here. Didn't receive it in an email? Join the mailing list here. The influence of physical activity on gastro-esophageal reflux disease (GERD), Barrett’s esophagus and adenocarcinoma have been scarcely investigated. Physical activity may play an important role in reducing the risk of esophageal adenocarcinoma with different pathways, including reducing the BMI, affecting patient lifestyle (consuming healthier food, reducing consumption of alcohol) and having a direct effect on the gastrointestinal system (vigorous exercise decreases the splanchnic blood flow and delays gastric emptying). The results of this meta-analysis based on three case-control studies with 10200 symptomatic GERD patients identified among 78034 participants showed that a moderate exercise has a protective effect on GERD symptoms. The only study on Barretts did not show any association with exercise and the few studies on adenocarcinoma reported a low, but statistically significant protective effect of moderate exercise for adenocarcinoma, even after adjusting for BMI. The Authors finally suggested a possible U-shaped association of physical activity and the risk of GERD, Barretts and Adenocarcinoma, where moderate levels are protective but high levels are hazardous. Click on the picture to get to the video. The management of esophageal diseases is becoming increasingly complex with new diagnostic, endoscopic and surgical techniques for both malignant and benign diseases. To handle this complexity and to streamline the patient pathway Dr. Triadafilapoulos proposes the creation of Integrated Esophageal Centers where all the expertise needed to treat esophageal diseases are gathered, including endoscopists, physiologists, surgeons, radiologists and pathologists. These integrated centers should have also educational commitments supporting clinical rotations and advanced esophageal fellowships in esophageal diseases for gastroenterologists and surgeons. See the updates from ISDE here. You have not received the newsletter? Join the mailing list here.